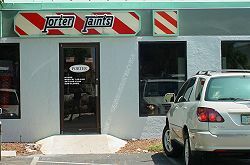 Porter Paints Porter Paints has been servicing the Naples area fo over 20 years as a part of the national chain of Louisville based Porter Paints. 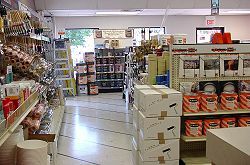 At their Trade Center Way location for over 10 years, Porter Paints continues to provide top of the line painting products and supplies to the wholesale and retail markets. Airport road to Trade Center Way. Turn west and proceed about .1 of a mile just past Wilson Lighting. We are on the right (north) side in the strip plaza. Pine Ridge Road to Taylor Ave. Turn north and proceed approximately 1 mile to Trade Center Way. Turn right and proceed .9 of a mile and then turn left into the strip plaza.